Take nature with you to those plant sales with 'Gut Gardening'! - Perelandra Ltd. This is for everyone tempted by all those beautiful flowers suddenly showing up at your local hardware and garden centers, farmers markets and roadside stands. Before you head out to the plant sales this weekend and end up at home with a carload of flowers and vegetables, we want to remind you to consult the expert! No, not the kid starting his summer job at the local nursery and not your local club's "master gardener" either, even if that's you. You don't have to be an expert in co-creative gardening, or any kind of gardening, to figure out which plants are going to bring balance to your home, yard, porch or garden this season. Ask nature! That's your expert consultant. We are about to steal some of Machaelle's words and share five simple steps for beginning your consultation with nature. We'll tell you how to take nature plant shopping with you this weekend, so you end up with a garden, yard, porch, window box or just one potted plant that will make you and your environment smile. Note: If you're following along with our One Bite Series on Gardening, you'll be starting at Step 3 below. We have included a short message for you at the end of this post. 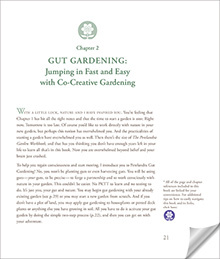 You'll be using your guts to forge a partnership and to work consciously with nature in your garden. This is easy. No PKTT (muscle testing) to learn and no testing to do. It's just you, your gut and nature. You may begin gut gardening with your already existing garden or start a new garden from scratch. If you don't have a plot of land, you may apply gut gardening to houseplants or potted deck plants or anything else you have growing in soil. All you have to do is activate your gut garden by doing this simple process, then get on with your adventure! Write down the description and goals. That is, what kind of garden do you want? A kitchen garden with vegetables and herbs that can provide fresh produce from late spring through early fall for my family of four (two adults and two children ages eight and twelve). These are the vegetables my family won't eat and these are the vegetables my family loves: (write down each list of vegetables). Potted deck plants filled with flowers that I will be able to maintain easily with my hectic schedule that includes working full time, taking care of our two kids and volunteering once a week at the local health clinic. I'd like my deck and these flowers to give me a quiet place to rejuvenate and regain my balance. I'd like to fill the space along the walkway to our front door with flowers, herbs and plants that make our family and visitors feel welcome when arriving at our home. These are examples to give you an idea of what to include as you describe your "garden" and its goals. You're giving nature the definition, direction and purpose of your garden. This is what nature will be using when giving you the information needed to choose the plants for your garden in balance. Have your goals written down? You're ready for . . .
"I want to activate a Perelandra Gut Garden for working consciously with nature and I want the following goals to be the focus of the partnership. [Read aloud what you wrote down in step 1.] I ask that all relevant input from nature be given to me through my intuition, gut instinct or any other manner that is consistent with a Perelandra Gut Garden." 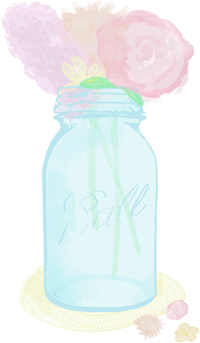 You now have an activated co-creative garden and an eager partner who is looking forward to working with you. Congratulations! You are ready to head out to the local garden center. Once you have the car parked, focus your attention on nature and say: "I want to work with you to get the right plants for my garden now." That's all you need to do. It takes about five seconds for you and nature to be connected. So wait the five seconds before you get out of the car and walk into the store. Nature is now with you as you start walking the aisles of all those beautiful plants. This is gut gardening, so trust your gut. Nature will be working with you as you go. Choose the plants that jump out at you, metaphorically speaking. Even if you are planning a vegetable garden, nature may include flowers and herbs in order to create a more balanced garden biosphere. It may even include a vegetable you listed that your family won't eat. For an herb garden you may need to include some flowers or vegetables. To achieve balance, we can't get ourselves locked in. In co-creative gardening, flexibility is key. Wait five seconds. Nature will automatically adjust its connections and you'll be able to continue your day without dragging the garden around with you. There you go. You have officially started to garden co-creatively, with nature as your partner! Whether you've already started your plant shopping, or you're headed out this weekend, here are some easy ways to balance and strengthen those plants. Shift EoP to your new plants. Focus your attention on the plants and state: "I wish to set up with nature to shift Essence of Perelandra." Wait 10 seconds. Place 10 drops of (EoP) in a clean spoon. Hold the spoon out in front of you and say, "I wish to shift these drops to strengthen and balance these plants." Wait 10 seconds. The shift occurs automatically. After 10 seconds, the shift is complete. Wipe or wash off the spoon (those drops can't be used again). Say thank you to nature. Water your new plants with ETS for Plants. In a clean watering can, use 9 drops of ETS for Plants per quart or 25 drops per gallon of plain water. Would you like nature's help arranging or locating your plants in the way that provides the best balance? Or get help with fertilizing and caring for those new plants? It's just as easy and you can use Gut Gardening for this as well. We're so passionate about encouraging everyone try a co-creative garden, so determined to do our part to help reverse the damage being done to our environment, that we're willing to give you all of the information you need for Gut Gardening FREE online. If you are following our One Bite Garden Series and will be going out to buy plants: You have already activated your partnership, and you have your plant lists from nature. Remember to take those lists with you when you go plant shopping! Start at Step 3 in this article. Hit the start button and follow the rest of the instructions. You'll be using these steps to get the best matches of plants and varieties for the list that you already tested. If something on your plant list isn't available, you'll need to ask about substitutions. Don't just grab the closest match. Tell nature what isn't available and ask for "an alternate but equal variety that will maintain the balance of my garden."